Inside the Heligan mattress, over 11000 Revolution and HD Springs work side by side to provide greater support. 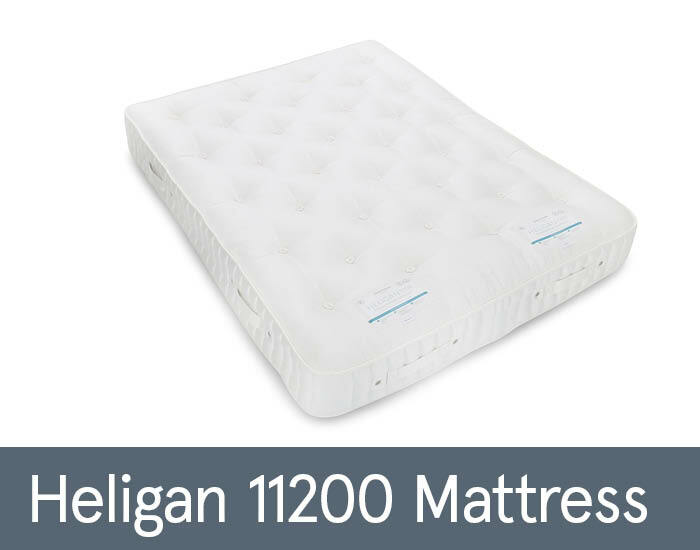 The double side stitching ensure you are supported right up to the edge of the sleeping surface, offering great stability over the lifetime of a mattress. The Heligan’s careful blend of natural wool and cotton creates a soft yet comfortingly stable filling. Additionally, it is quipped with Warmside / Coolside technology to regulate your body temperature all year round. The Heligan mattresses offer a natural viscose mattress cover featuring acti-pro, allergy-free material for your health and well being.